Within 10 minutes of embarking on our Big Trip, this happened. While I was on the phone, and still sad from leaving my parents, I made a miscalculation. I thought that I could one-handedly catch a box of books toppling off the top of our duffels from the back of our mini-van while continuing the phone conversation. Oops. OUCH. OK, it was a little problem, but we did it. The German surgeon, who spoke fantastic English, confirmed that I didn’t need surgery. 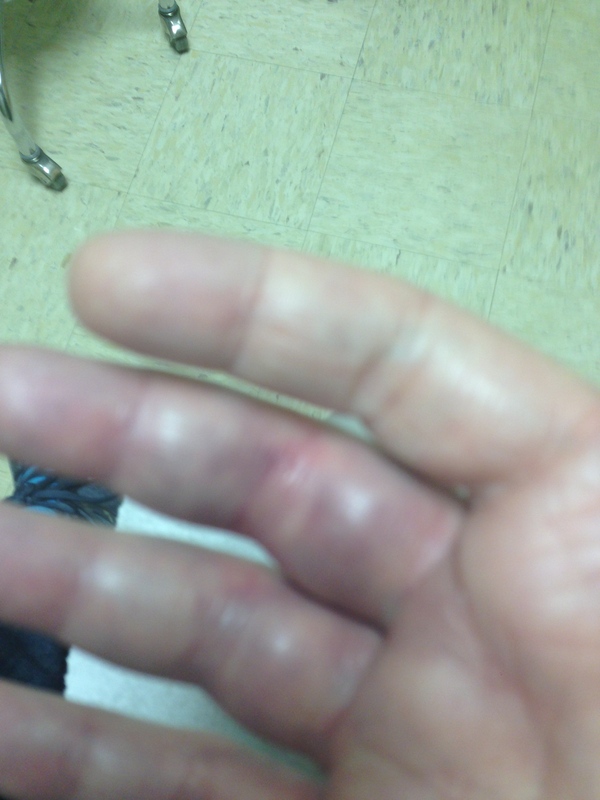 My fingers were healing correctly without surgery. Hurray! 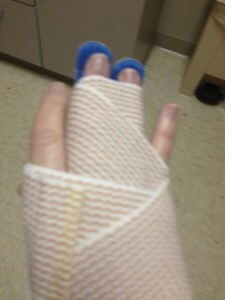 I was concerned since my finger was dislocating at the joint when I carried a sauce pan. He said, “Don’t do that.” So I’m trying not to. 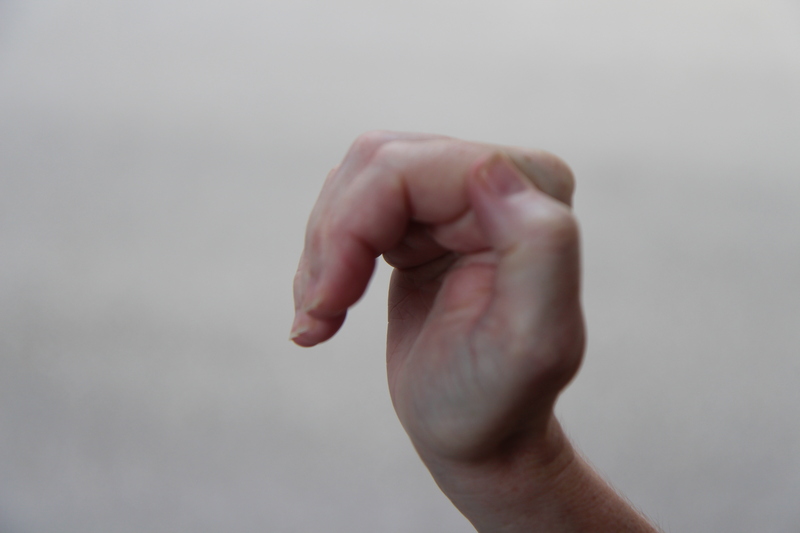 Here’s how far I can close my hand now. 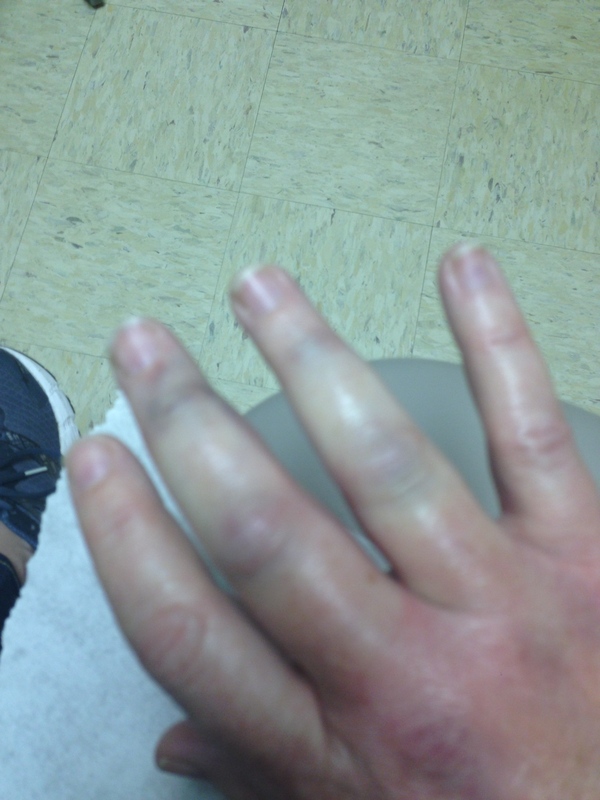 They still hurt and I can’t really lift with my right hand, but they are improving every day. Yum. Chips and salsa CAN help take the edge off … and so can that Mexican Gatorade. But watch out it kinda makes you dizzy. Glad to hear you are healing ok. We are enjoying the journey through you guys! Glad you are healing so well, however, something must be wrong with our browser, as we cannot see the photos. Lisa…if I hadn’t seen a part of this story I would bet that the finger breakage was due to a little too much tequila and a misadventure. 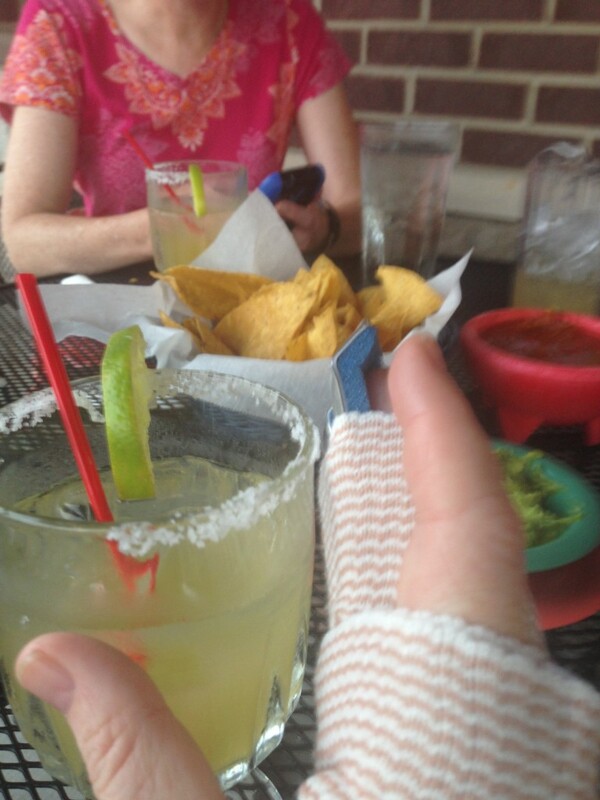 I can attest to our blog audience, however, that the margarita was just to take the edge off after a rough urgent care visit. I’d like a follow up to this blog thread when you can perform shadow puppets with your hand and fingers. Keep working on it. WOW! Those first pics – so glad you’re getting better. Wow, I had heard the sorry but not seen the pics. So glad it continues to heal. Prayers just sent for complete and rapid healing.